Best IDLE CLICKER GAME on Android. Do you like idle games, build & crafting games, capitalism games, incremental games or offline clicker games, but most of them get boring quickly? 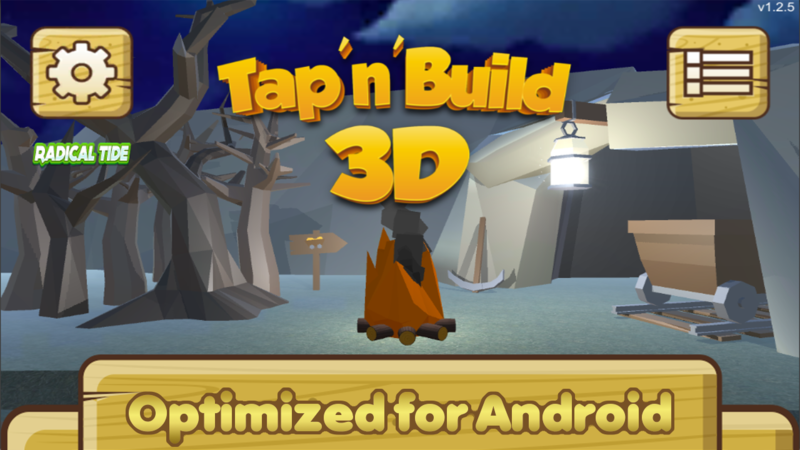 Then play Tap 'n' Build 3D - Free Tap & Crafting Game for free!! SUPER DOPE GAMEPLAY Just keep tapping the screen. Tap with ALL FINGERS. The perfect idle clicker game, without ever feeling bored! Find all the precious resources the world has to offer! Organize builds for unlimited fun!! 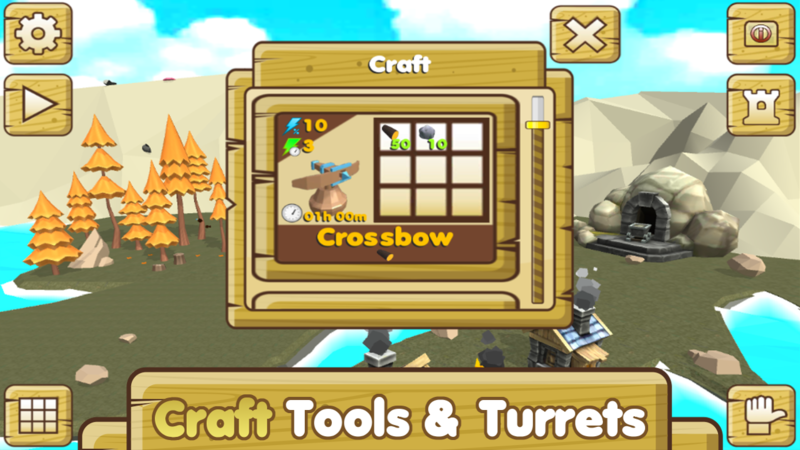 TAP & CRAFT Craft tools and turrets, evolve and feel successful Crafting buildings! Tap! Tap! Tapped! Turrets are your idle miners. 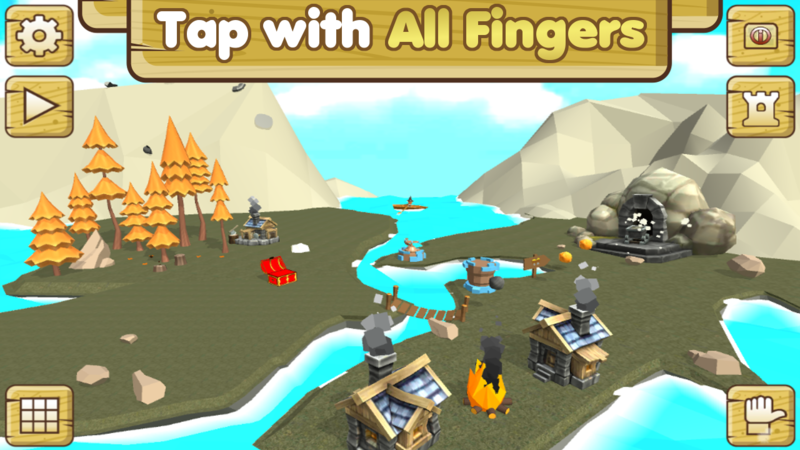 TAP & BUILD Casual & addictive gameplay for aspiring crafters who love to click & craft. 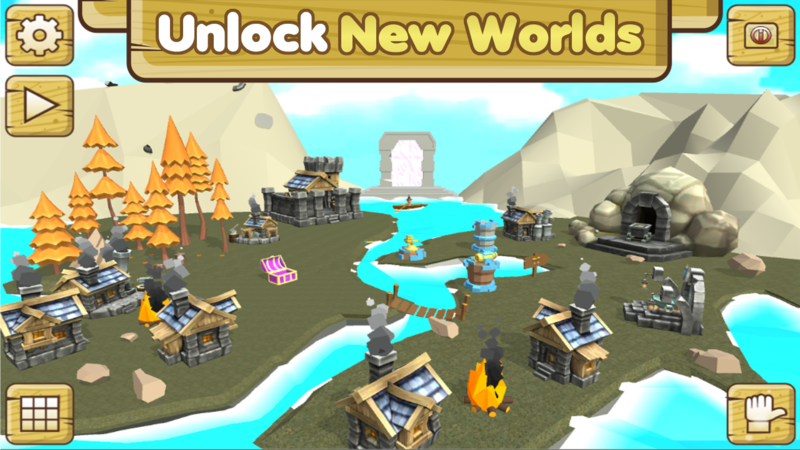 Gather resources and build a gorgeous town or build virtual city! UNIQUE VISUALS Tap to gather resources and see them floating right into your chest with amazing 3D visuals and captivating scenery. You have the greatest thing on earth - Disposable Thumb. Use it and all the other fingers, to tap resources and build construction. Craft tools in game to gather more precious gems. One of the best addictive clicker games. Let the turrets work offline. It's like getting gifts on Christmas every time you open the game. Build you're town, to unlock more stuff to craft. It's the easiest game ever with so much to building craft and towns. "I love clicker games. So I made my own version of such a game."